Burnley’s fantastic run of wins in the Premier League came to an end last night when Chelsea exacted revenge for our opening day victory at Stamford Bridge, beating us 2-1 on a night when they fully deserved to return home with the points. Any notion that they would play a weak team given they have an FA Cup semi-final on Sunday were dispelled. Maybe they weren’t at their strongest, they can’t be when Eden Hazard doesn’t start, but this was a talented Chelsea side on view that were as good as any team that we’ve played at home this season. There’s a real air of confidence around Turf Moor at the moment. Five successive wins helps, as does going nine points clear of eighth place Leicester and moving within two points of Arsenal who are currently sixth. “Beat these and we’ll only be five points behind them. I think we can finish fifth,” was something said to be before last night’s game. That’s beyond optimism and confidence. I have to admit that I’m thrilled with the position we currently find ourselves in. Even prior to the Watford game I suspected that Leicester might just sneak ahead of us but by the final whistle last Saturday it looked very much as though seventh is likely to be the lowest we can finish. Even last night, Leicester weren’t able to make too much inroad into the nine point gap when they were held to a draw by Southampton at the King Power. So, Thursday night football at Turf Moor. That’s a rarity as was the weather. After the extreme cold of recent weeks it was a barmy night as temperatures soared. I remember Chelsea boss Antonio Conte struggling at this fixture last season as the snow came down. The southern Italian was huddled up, maybe never having seen snow before, finding it difficult to keep warm. Last night he ditched his familiar Italian suit for a Chelsea tracksuit on the sort of night he might have expected at home. It was, as expected, an unchanged Burnley team from the one that had beaten Leicester, but there was no dramatic two goal start from the Clarets this time. In fact, there wasn’t a time in the entire first half when I thought we looked as though we might gain the upper hand. Playing with two strikers, Chelsea were always the team in command with N’Golo Kanté in the midfield looking every bit the player who has won Premier League winners medals in each of the last two seasons. We couldn’t have any real complaints at being a goal behind at half time; the real disappointment was in the way we conceded the goal. The pass out to the right was good, but from then on it was more about us than them. We allowed the ball in from the right far too easily. Nick Pope didn’t deal with it. He did no more than push the ball onto Kevin Long and the defender, who had scored his first Premier League goal five days earlier, got a second with an unwanted own goal. It was so un Burnley like and that was what separated the two teams at half time although in terms of performances there was undoubtedly a bigger gap. Something had to change in the second half and it did. I thought we might sacrifice one of the front two, but with the same eleven we gave it a real go and started, finally, to put Chelsea under some pressure. For the first time in the game it looked as though we might be able to fight our way back into it although pushing players forward can cause your problems defensively and there is no doubt that Morata should have doubled Chelsea’s lead when he broke clear. There are suggestions that Pope might have got a touch to his shot. I’m not sure. If he did then he didn’t appear to deflect it at all. It was a poor miss from Morata and soon after it looked as though he and Chelsea might just pay for it. We’d switched the two wide players at this point and when the ball was shifted from left to right, it found Jόhann Berg Guðmundsson, one player who didn’t disappoint. He cut inside and fired in a shot. It was going wide but deflected off Ashley Barnes and nestled in the far corner. Suddenly the celebrations were muted as Chelsea players surrounded referee Bobby Madley. For a time I thought it wasn’t going to be given although couldn’t work out any reason why not. It seemed to go on for so long I thought we’d introduced VAR on the sly, but the goal had been given and we were level. Former Claret Gary Cahill had led the complaints but if it was offside they were claiming, he was the player who was clearly playing Barnes onside. The goal was a good one and it rightly stood. Burnley were level and now could we go on and win it? The answer to the question was a very strong no. Chelsea were back in front within six minutes and this time never looked likely to relinquish their lead. It was another poor goal from our point of view. The ball came right across the box from the left; Victor Moses wasn’t closed down and was able to fire in a shot far too easily. There has been criticism of Pope who was beaten on his near post but I think that’s harsh. Both sides very quickly made substitutions. Sam Vokes came on for us as we won a corner. He got up and won the header but there was no Watford repeat; his effort went straight into the hands of Thibaut Courtois. Embed from Getty ImagesChelsea had just seconds earlier introduced Hazard and for the remainder of the game he made it clear to everyone inside Turf Moor that Chelsea are a far better team with him on the pitch than when he’s sat watching. Kanté, for me, had been the star of the show, but Hazard was just pure quality in those final twenty minutes. We were never going to equalise again, Chelsea made certain of that, and when Madley blew his final whistle we were a well beaten side although I’m certainly not going to start criticising our players. We did make mistakes; we weren’t at our best, but we were playing a team here who were as good as any we’ve played this season. When Madley last refereed us, he contributed to Southampton’s late equaliser. Since that game we’ve won 15 points from six games, far more than we dared hope. Last night was no disaster, it was just us being beaten by a better team, and was our first defeat in almost ten weeks. It’s time to move on. We’ve four games left to go and get the points to see us into Europe, and if Chelsea could now do us a favour and beat Southampton in the FA Cup it would be very much appreciated. Stoke next, hopefully an oatcake, a good performance and some points. Let’s start singing about that European tour again. No matter what happens at the bet365 Stadium, Stoke won’t be as good as Chelsea were. 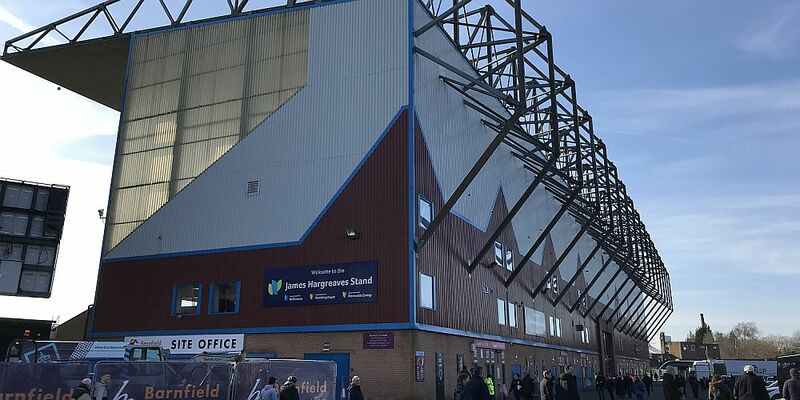 Burnley: Nick Pope, Matt Lowton, Kevin Long, James Tarkowski, Stephen Ward, Aaron Lennon (Nahki Wells 87), Ashley Westwood, Jack Cork, Jόhann Berg Guðmundsson, Chris Wood (Sam Vokes 72), Ashley Barnes. Subs not used: Tom Heaton, Phil Bardsley, Charlie Taylor, Dean Marney, Jeff Hendrick. Chelsea: Thibaut Courtois, Cesar Azpilicueta, Antonio Rüdiger, Gary Cahill, Victor Moses, Tiemoue Bakayoko, Pedro, N’Golo Kanté, Emerson Palmieri (Davide Zappacosta 84), Alvaro Morata (Eden Hazard 71), Olivier Giroud. Subs not used: Willy Caballero, Andreas Christensen, Cesc Fàbregas, Ross Barkley, Willian.